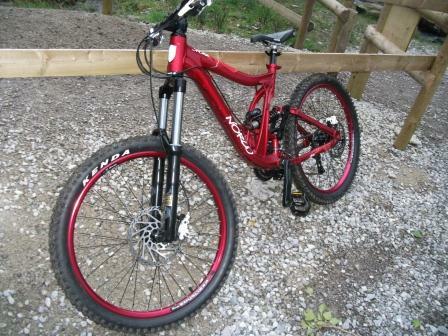 I got the bike in January 2012 from Don Skene cycles . 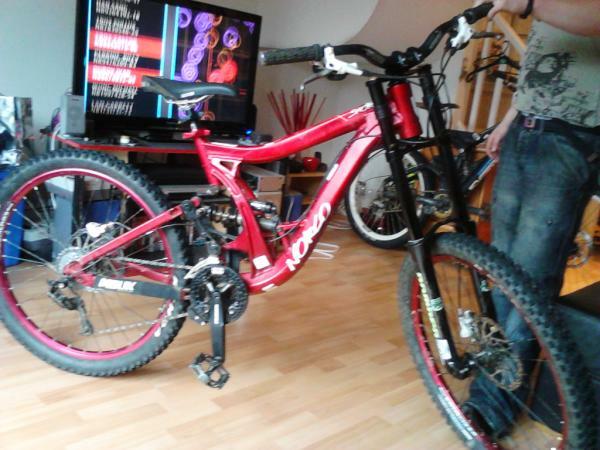 I won’t lie and say I got it for the spec, I knew nothing about mountain bikes when I got it (unfortunate theft of one bike led to me getting this one) I bought it because it was red, and it looked awesome. I probably could have got so much more bike for my money, but I fell in love with the Norco Shore 2. I haven’t changed much of the original spec, most of the bike is still stock. I changed the forks from single crown Rockshox Domain 302’s, to 2009/10 Limited Edition 888’s (graphics designed by Norco). The reason being that the angle of the bike was wrong for me, when riding with the Domain’s I found myself very hunched, the 888’s brought the front of the bike up, and of course changed it to a more downhill set-up, rather than the intended freeride. Unknown to me when I first bought it, Norco’s have a bit of a reputation for being on the heavy side. The bike is so solid; it feels incredibly planted and steady on anything I throw it at. It looks impressive, and it gets compliments wherever I go. The stock weight is 42lbs, but I estimate that due to fork change the bike is now about 48-50lbs. It jumps like a dream and flows nicely off drops, cornering is somewhat difficult as it can sometimes feel almost weighty and awkward when performing certain manoeuvres on the trail (but that could just be me, I’m no expert) Having said that it does handle well when getting up to speed on technical sections. 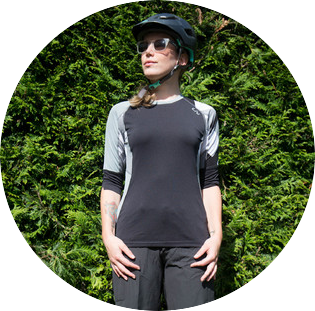 The medium frame is perfect for me (I’m 5,9), and would probably suit someone up to around 6ft before having to consider getting a large. Shape wise, it is very pleasing to the eye, and the paintwork is done beautifully. The only downside to this is that metallic paint does chip easily. Having had the bike ten months, it’s not looking as pristine, but this hasn’t jeopardized the Norco’s strength or ability to perform as it should, it just doesn’t look as pretty. It is possible to pedal uphill as well as down with the original stock parts, but I don’t think I could take it on a full XC loop, it’s not that kind of bike. The tapered headtube is a 1.5” base to a 1.125” on the top, so to change the forks I had to get a reducer headset to change it to a 11/8” steerer, I opted for an FSA reducer headset, as the original had been an FSA. The pedals I changed almost immediately from DMR V-12 Mag pedals to Wellgo B54 This was because the stock pedals were too small and just didn’t work for me. I currently run one stock Rim (the other one got slightly bent when I had my first bad crash) They are Sun Equilizer 31’s bought by Norco and specially anodized (couldn’t find another one anywhere) And the Front Rim I now have is a Spank Tweet 28 Evo Rim in Egg plant purple. I’ve changed nothing else about the set-up or parts on the bike, I still run the Kenda Nevegal Stick- E tyres that the bike came with in January. I will be changing tyres, but this is due to weather change, these tyres are great in all conditions apart from very wet and muddy tracks! I will also be changing the back rim to the other spank tweet Rim in the future. 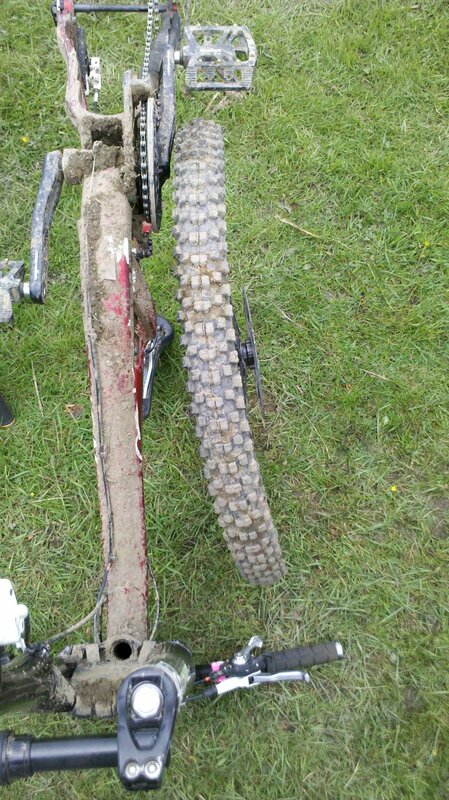 I would consider getting another Norco in the future, and I have raced this bike. I find it more than capable of doing different styles of tracks from rough and technical to steep and jumpy. For the price I paid the spec was good, the parts have remained durable and strong, while the frame continues to provide unrelenting performance time after time.